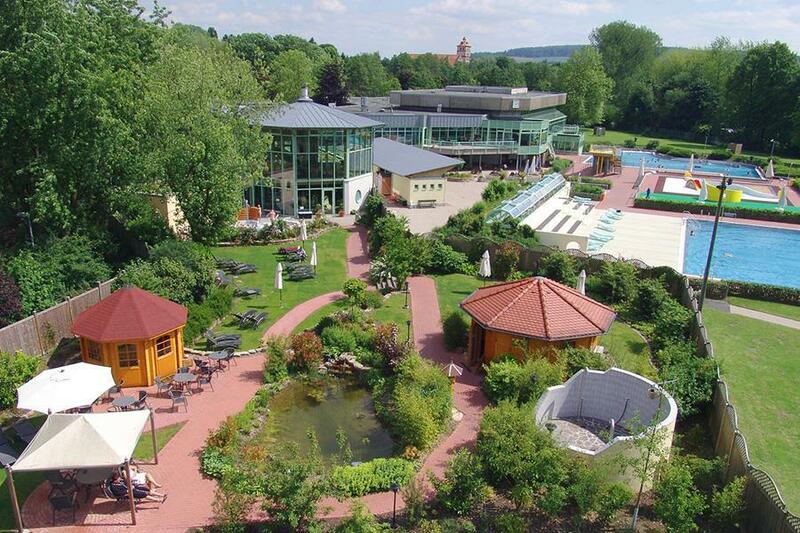 Camp for €20,- a night at Campingpark Lemgo in low season with CampingCard ACSI. Campingpark Lemgo, located in Lemgo (North Rhine-Westphalia), is a campsite with 60 touring pitches and 10 year round pitches. With your CampingCard ACSI you can camp on one of the pitches during the following periods: 01-03-2019 - 26-05-2019, 11-06-2019 - 30-06-2019 and 01-09-2019 - 31-10-2019. At this campsite you can not only use your CampingCard ACSI for inexpensive camping, you can also use your ACSI Club ID (as an alternative ID). This campsite is located within walking distance of the beautiful old town of Lemgo with its restored facades. Swimming pool and sauna at reduced rates. The area is an invitation for walking, cycling and making cultural trips out. Well-maintained toilet block. Would you like to book Campingpark Lemgo or request more information? You can do both using the information below. Follow the camping signs in Lemgo. CampingCard ACSI will send your information request to "Campingpark Lemgo".